Jaded Blossom: Guest Designer, Carol! Oh these are just fab! These are adorable Carol! 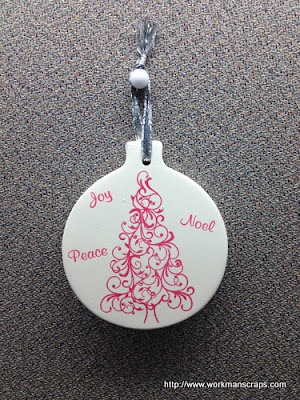 GREAT ornament ideas!! Oh my gosh, these are all fabulous! I can't even decide which one is my favorite!! I love the ornaments! Beautiful!!! And that deer - it's my favorite :) great projects! I love the ornaments Carol. Awesome job! Your ornaments turned out pretty with these amazing stamps. Ornaments are very pretty! Love the snowman poop too! These ornaments are beautiful just love them! The ornaments are just too cute and I just love the chex mix tag. Adorable. Love the ornaments! Too cute! Gorgeous Creations. Those Ornaments look amazing and your card is so pretty. I love your ornaments!! These are great!! Amazing projects! Lovin' the ornaments! WOW Awesome projects! I love the 2 ornaments you made they are beautiful! This is just too cute!!! I LOVE your ornament!! Adorable. I love all of them..Great job Carol. I LOVE all your projects! My favorite is little tree inside the ball, I love all the details on it. Love the projects Carol! The ornaments are beautiful! I love those stamp sets! Love how you used them. Great projects! All of your projects are fabulous! You are so talented and creative. TFS and thank you for being a guest designer. Love the ornaments--cute card and treat topper too! WOW! These are AWESOME!!! I really love those ornaments!!! Great job!! WOW, sharing four projects...which are all awesome. Really love the clear ornament, it's beautiful. Thanks so much for sharing with us today. I love the ornaments! Thay look so pretty! All of your projects look great! so many great projects!! love those ornaments!! I can't even say how much I love your projects! These are amazing! Great idea for the ornaments and your card is just beautiful! The ornaments are just adorable. and I love, the tag you made for your chex mix. Great projects, thank you for sharing! Fabulous projects! I've got to try some of these ornaments at some point! Thanks so much for such fabulous ideas! I just love all your projects!